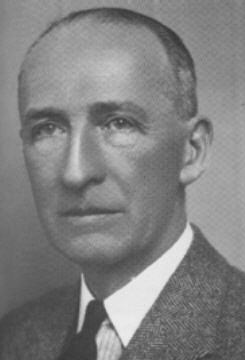 Unlike his predecessor Gresley, Edward Thompson came from an academic background having taken the Mechanical Sciences Tripos at Pembroke, Cambridge. This compares to Gresley's practical experience as a pupil at the Horwich Works. On graduating, Thompson worked in both industry and the railways for a while, before being appointed the Carriage and Wagon Superintendent of the GNR in 1912. He then became the Workshop Manager of the Stratford Works in 1930, before becoming Chief Mechanical Engineer (CME) of the LNER with the sudden death of Gresley in 1941. It is no secret that Gresley and Thompson disagreed on a number of issues. Thompson happened to be the son-in-law of Sir Vincent Raven, and many interpret this bitterness as NER (Thompson) vs. GNR (Gresley) rivalries. Perhaps the biggest disagreement was that of Gresley's 3 cylinder conjugated gear designs. Although the conjugated design worked well in peacetime, it performed poorly with the low maintenance levels experienced during World War 2. Hence, Thompson did have some justification for his criticism. When he became CME, Thompson started a much needed programme of standardisation. The standardisation programme demonstrated Thompson's (sometimes unfair) disdain for Gresley, and also his own engineering abilities. For example, Thompson decided to rebuild a number of notable Gresley designs, including the classic A1 Pacifics, V2 express goods, and P2 Mikado locomotives. The demonstration A1 to be rebuilt, was none other than the original prototype Great Northern, and none of these rebuilds could ever be described as elegant. But in contrast to these inelegant rebuilds, his B1 and L1 designs were well proportioned. The L1 was never built in the intended numbers due to Nationalisation, but the B1 proved to be a capable locomotive for a wartime LNER. It could be readily maintained, and was easy to build in a country short of metals and other supplies. Although designed for a poorer time, the B1 compared well with the classic peacetime Stanier "Black 5" during BR's Exchange Trials.